"Top of the morning to you" from Herbaria! Unless you shave with our soaps, you’re subjecting your face to an astounding assault of petrochemicals, detergents, preservatives and synthetic fragrances. Ouch! By contrast, the wholesome ingredients in our shave pucks are especially kind to your skin. 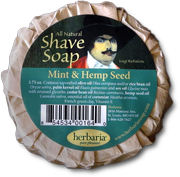 They are rich with moisturizing emollients and produce slick, cushiony, long-lasting lather. 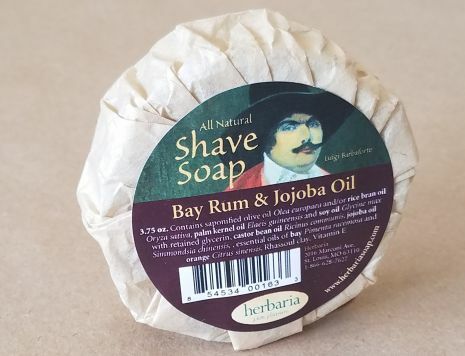 We guarantee you a close, comfortable shave, especially if you follow our suggestions to enjoy the best shave ever. Left to right: Bay Rum & Jojoba Oil, Mint & Hemp Seed, Lime & Coconut. We offer three superb combinations of scent and moisturizer. As in all our products, we use only essential oils for their complex and alluring aromas. Natural clays add more lubrication and thick, creamy lather. Our longlasting shave pucks are 1" thick, 3" in diameter. Classic gentleman’s scent from the West Indies, spicy with a hint of orange. 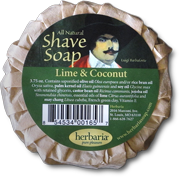 Your face will feel cool and refreshed from cornmint, which is loaded with natural menthol. Fresh squeezed, tropical lime with coconut added for both scent and really soft skin. 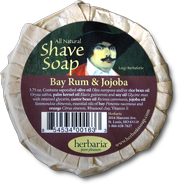 Try our Aftershaves to soothe and protect your face. 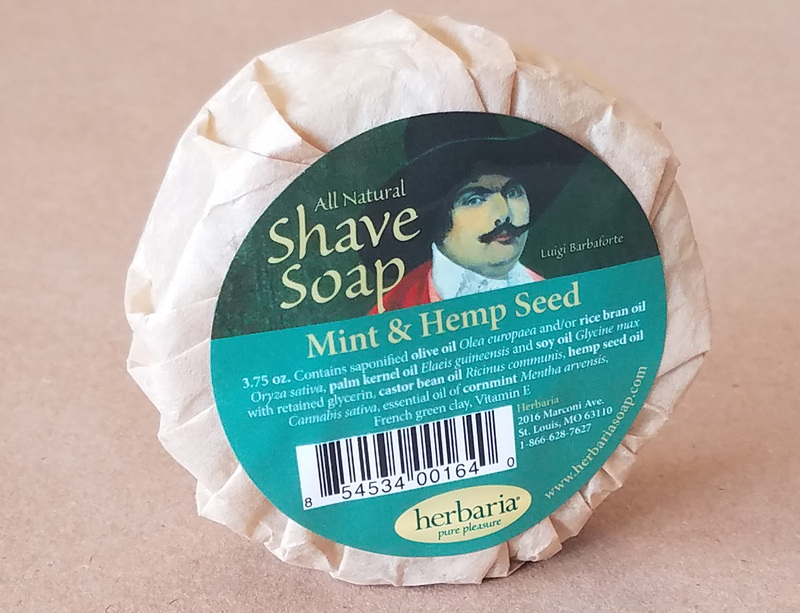 *The legend of Luigi developed when we needed a dashing gent for our shave soap labels.